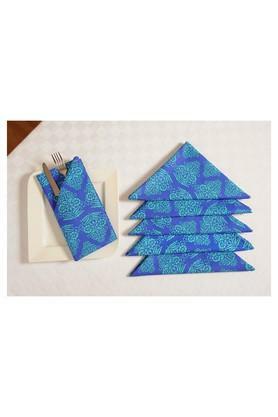 Decorate your dining table to look even more appealing with this set of six dinner napkin pieces. It comes in an attractive print pattern that adds to its look. In addition, it has been made of a fine quality fabric that makes it easy to maintain. Swayam presents these napkins which come in a set of six, that will enhance the look of your dining table.